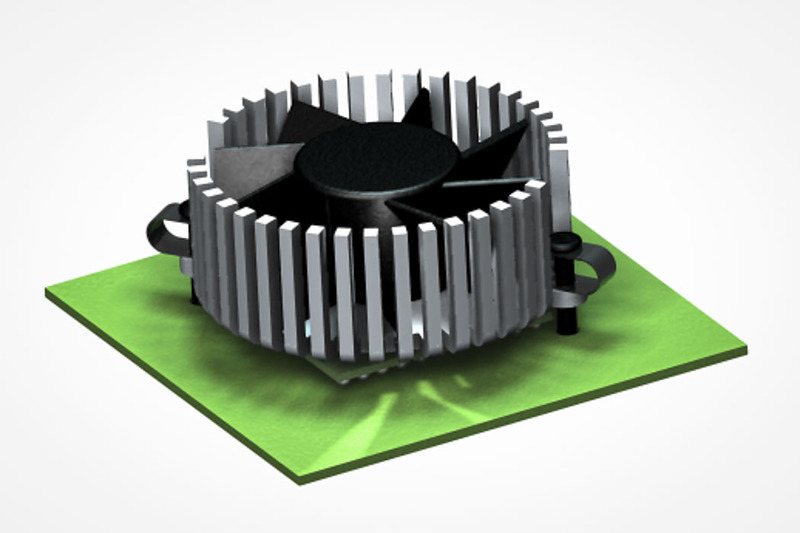 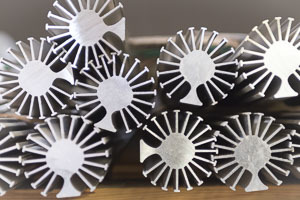 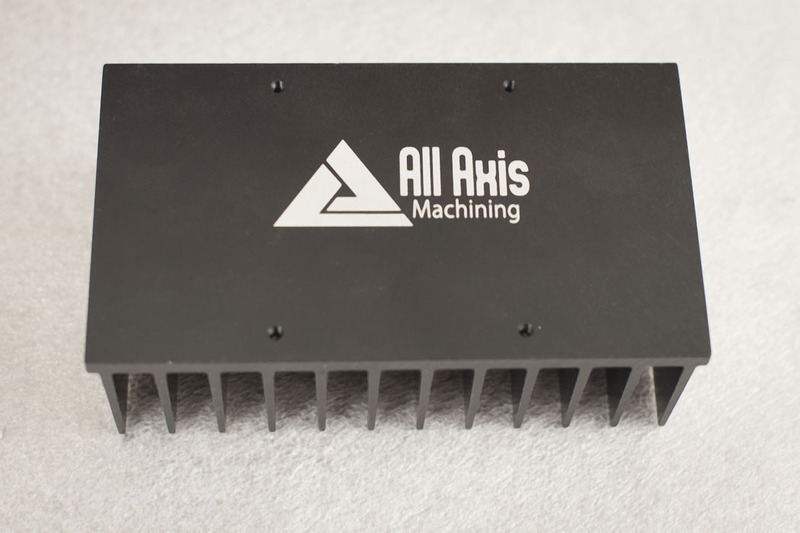 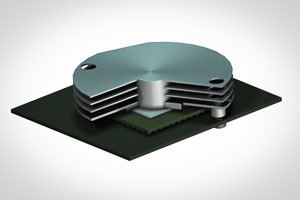 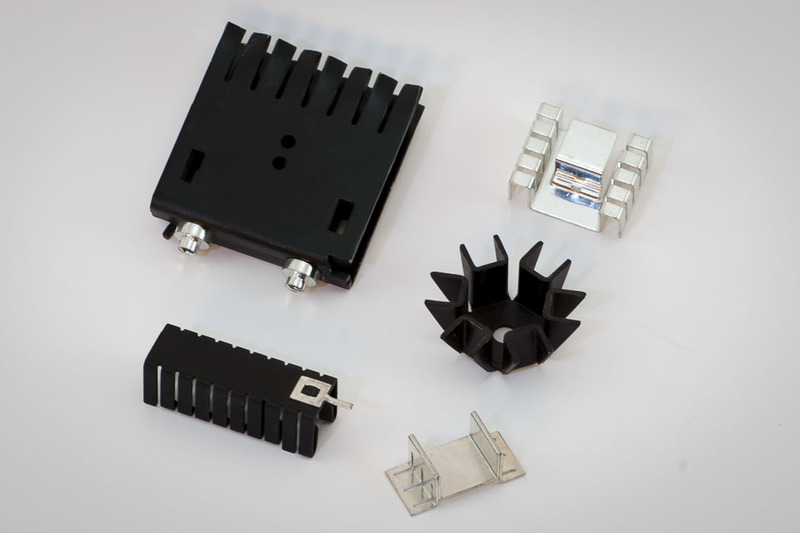 All Axis Machining, headquartered in Dallas, Texas, is the marquis innovator and manufacturer of heat sinks and other thermal management components and accessories in the electronics industry. 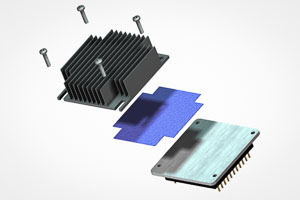 All Axis uses a total system design methodology approach towards developing thermal solutions. This simply means that our engineers consider all the interdependent variables (e.g. 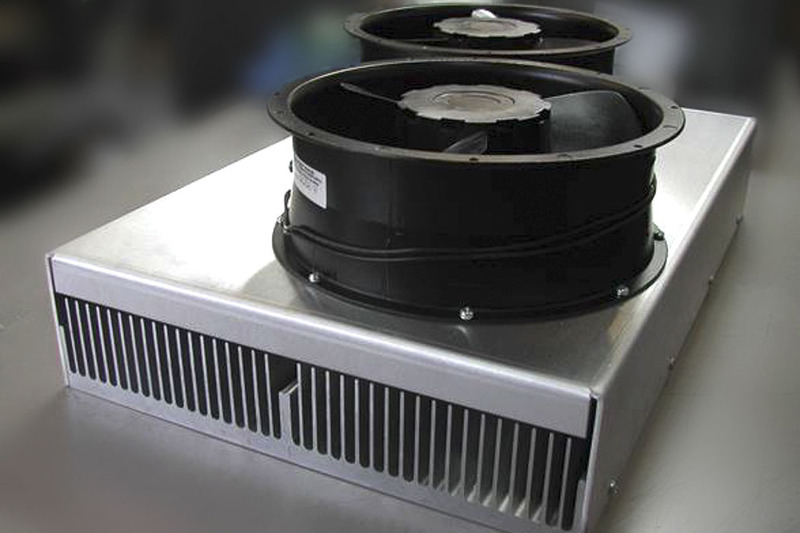 available airflow, manufacturing assembly, environmental, industrial shock and vibration requirements) prior to developing a solution. 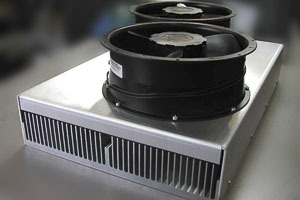 In-house thermal analysis capability insures that the early prototypes will meet the required cooling requirements. 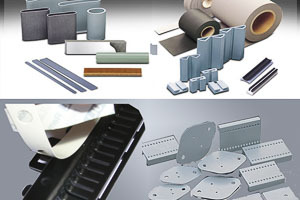 The most optimum thermal solutions are best developed at the beginning of a project. 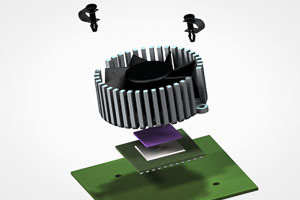 Developing solutions in this manner helps to reduce the total design cycle time. 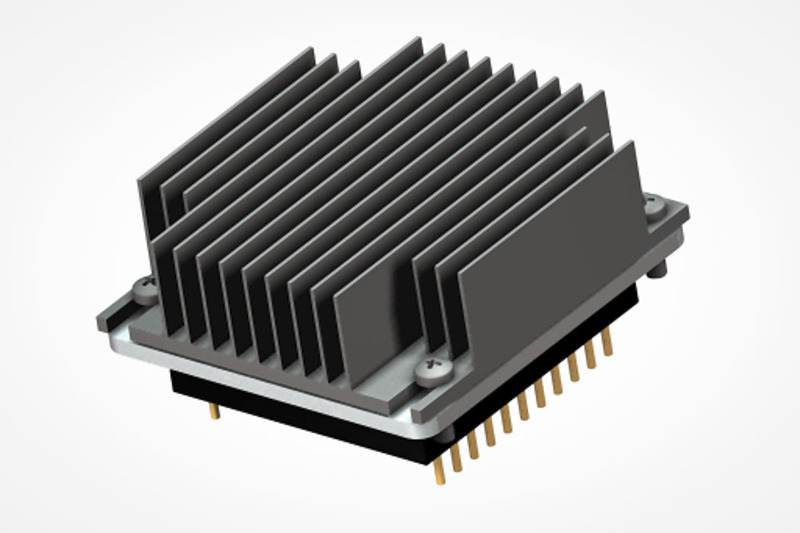 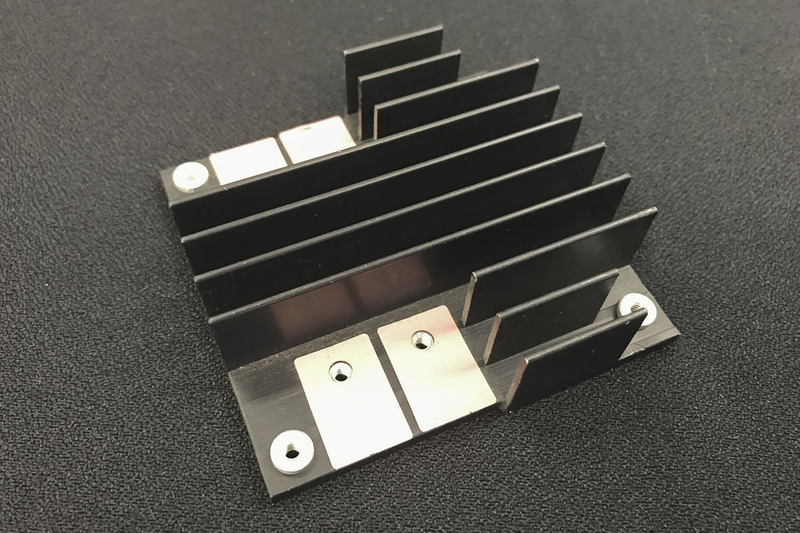 Depending on the how these variables intersect, the heatsinks section process may be very simple and straightforward and only require minimal analysis and already standard product/solution that has already been tooled may already be available. 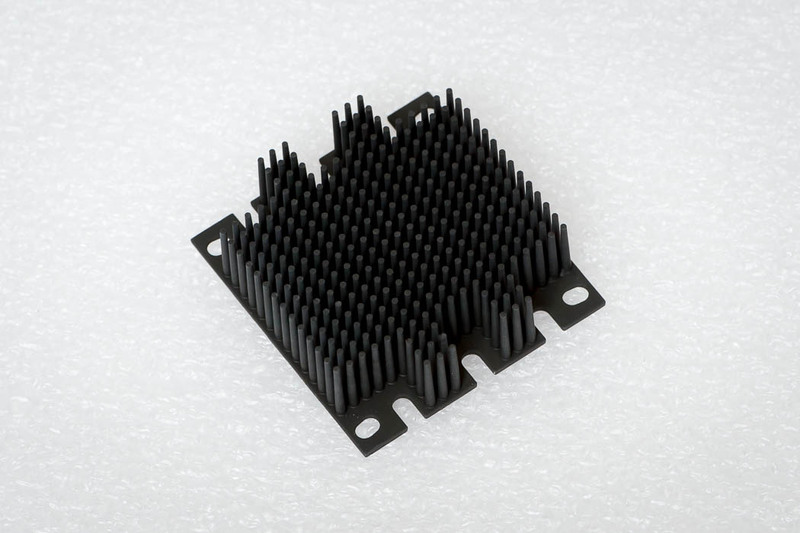 However, we realize that unforeseen circumstances do occur during the design process that impact the original thermal cooling specifications. 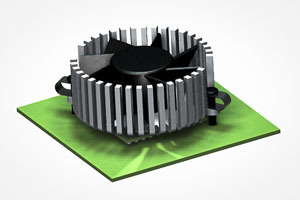 In these cases our engineering team is proficient in developing solutions for those after the fact situations. 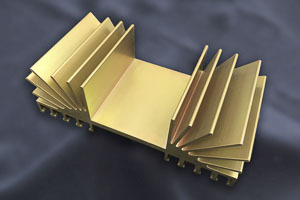 Bonded Fin heat is a hybrid manufacturing technique where the cooling fins are bonded or soldered into a base material. Selective Fin Location for Reduced Machining Cost and Hardware Access as the base can be machined separately from assembly. 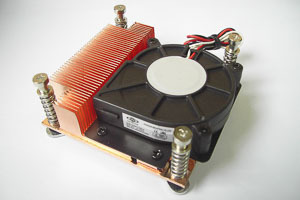 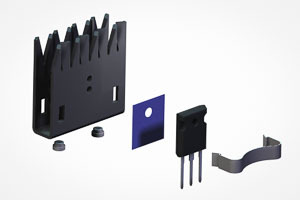 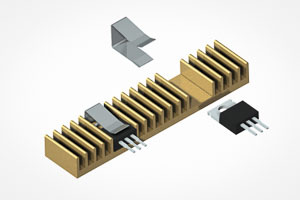 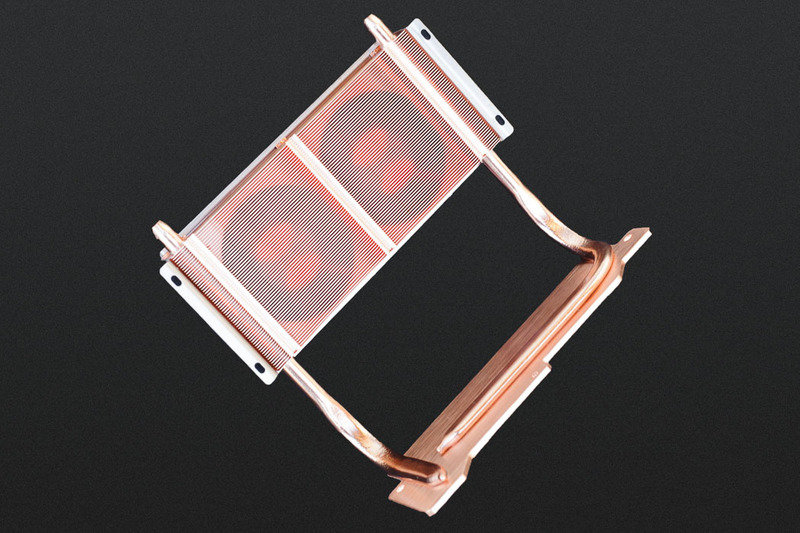 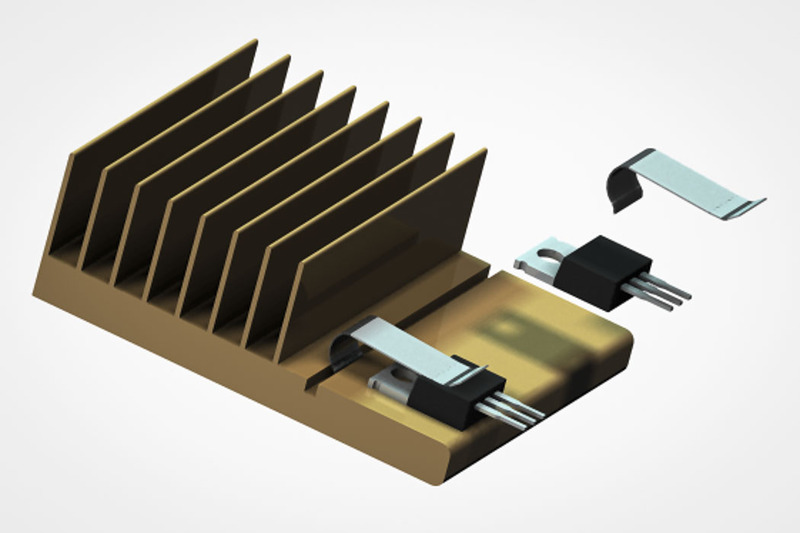 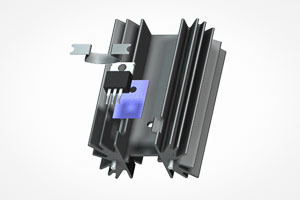 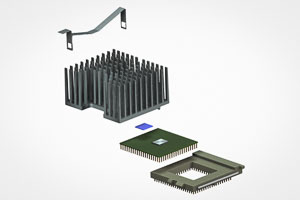 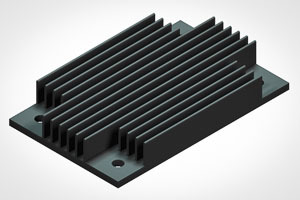 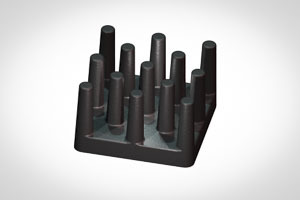 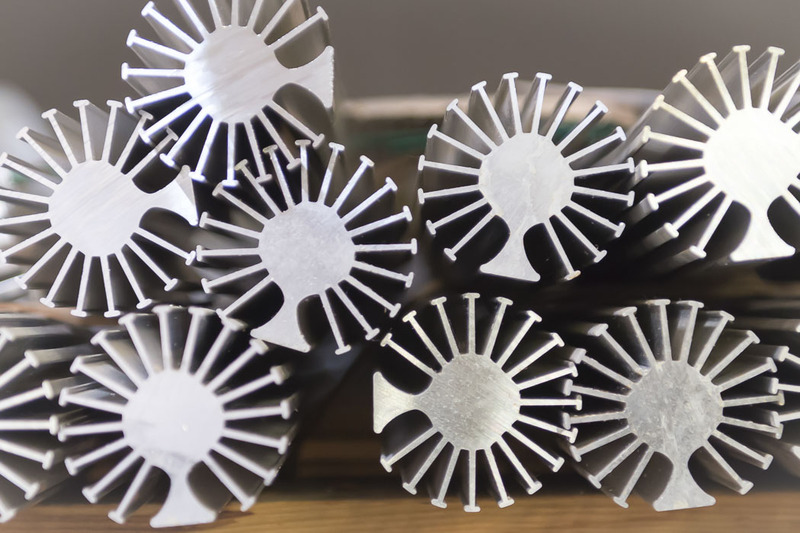 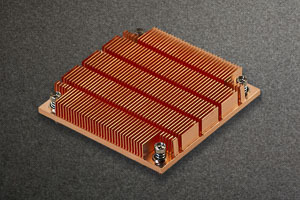 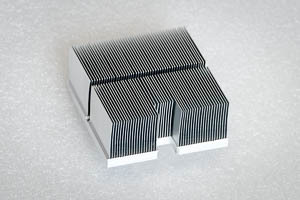 Folded Fin heatsinks use corrugated sheet metal bonded to either a stamped or machine base. 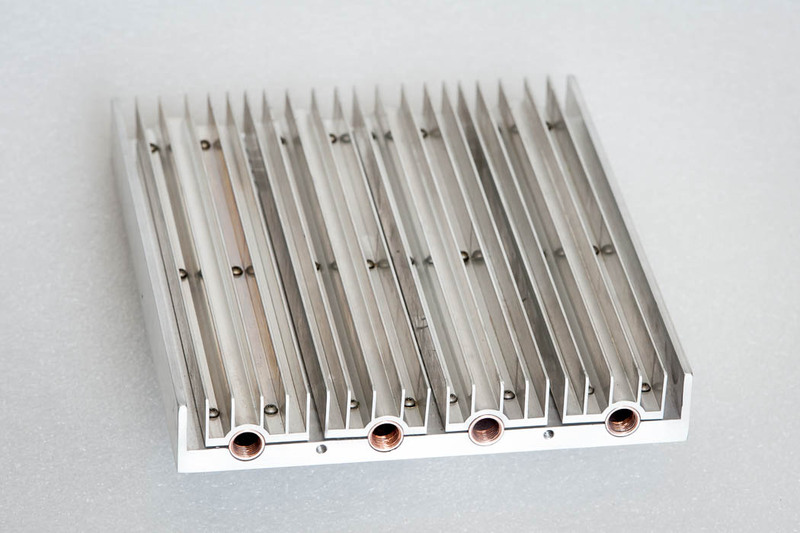 Improved Heatsink Spreading resistance at the source and heat exchanger. 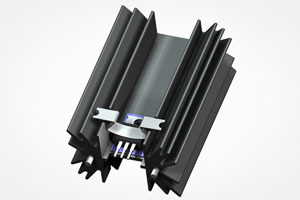 Complex 3D geometry (elliptical, star, spiral, square, round) fins can be created. 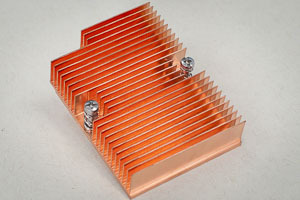 Embedding copper heat spreaders into heat sink base. 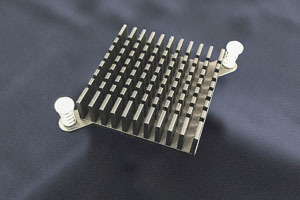 Embedding of heat pipes into the heat sink base. 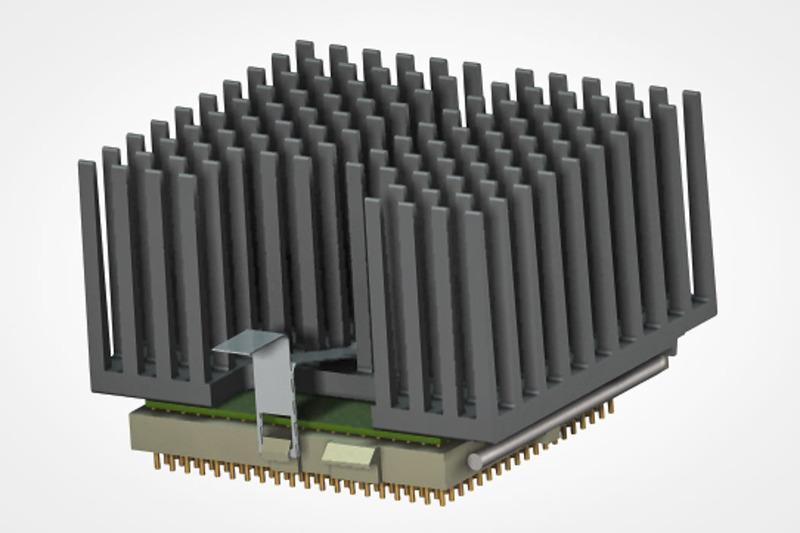 Assembly of fans to create a volumetrically efficient heat sink. 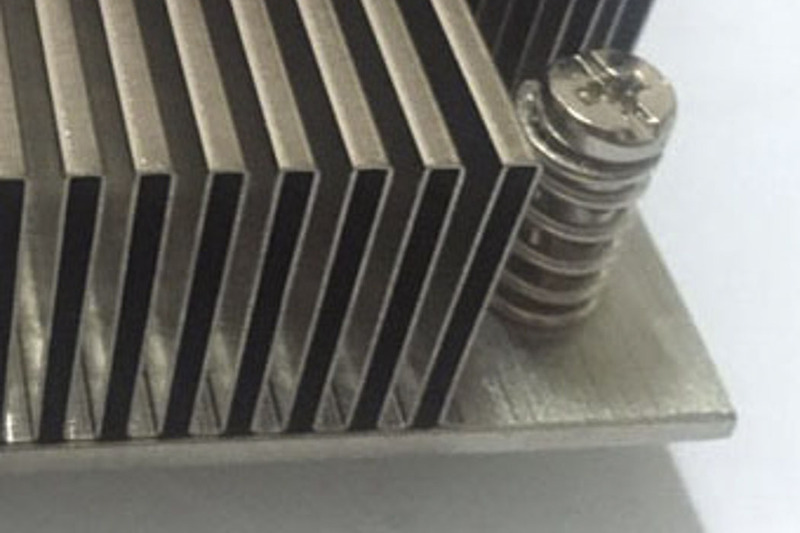 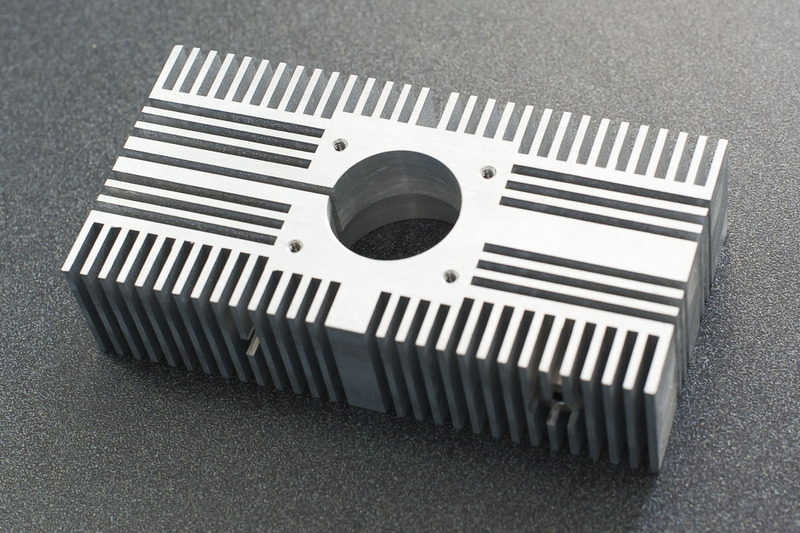 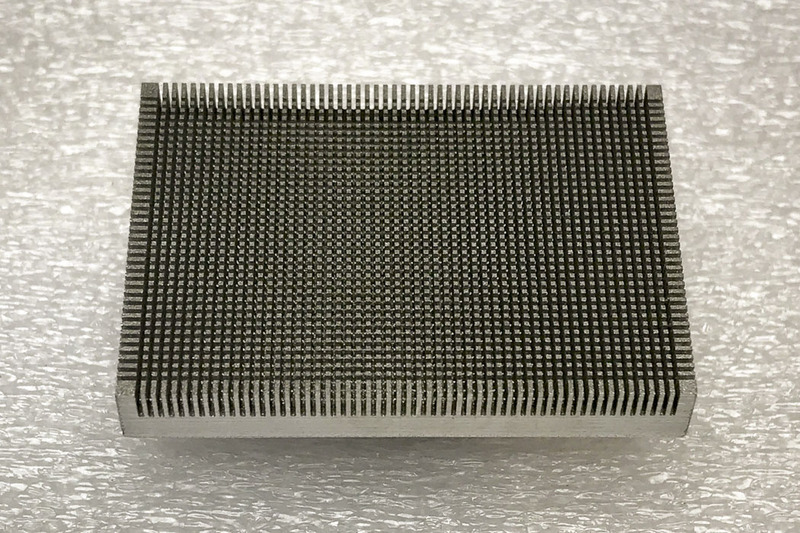 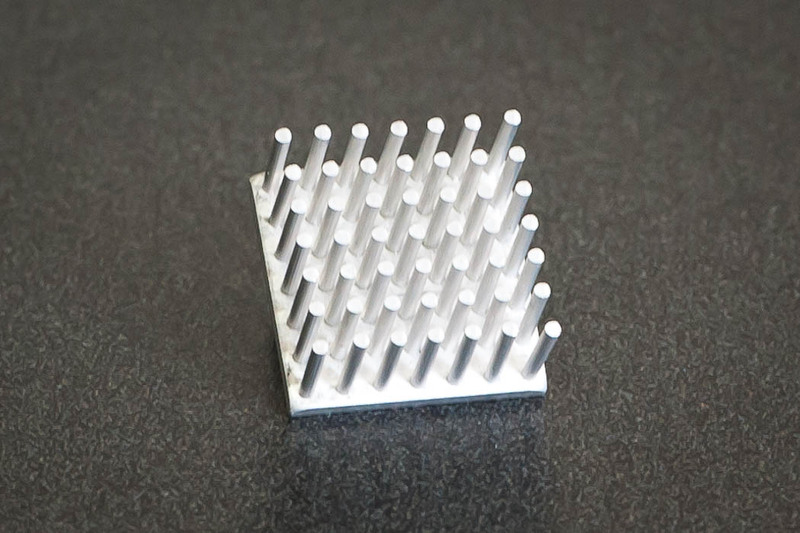 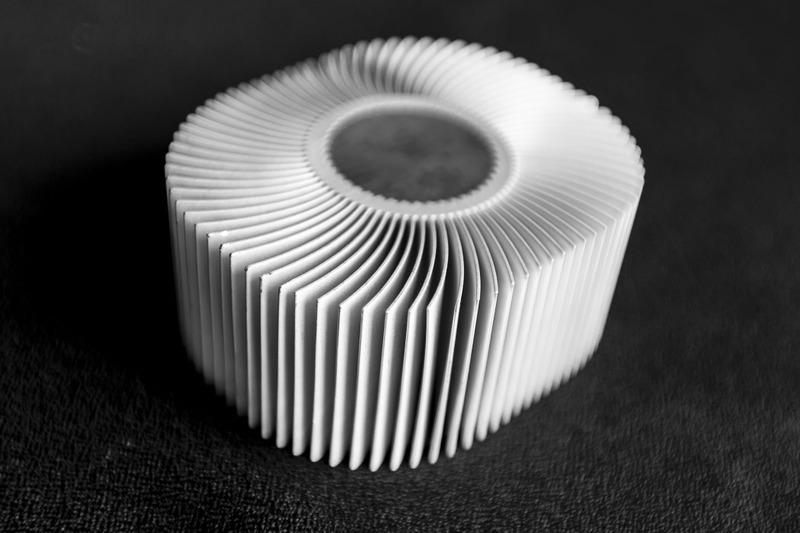 These machined / wire EDM heatsinks are often used for research and low volume applications. 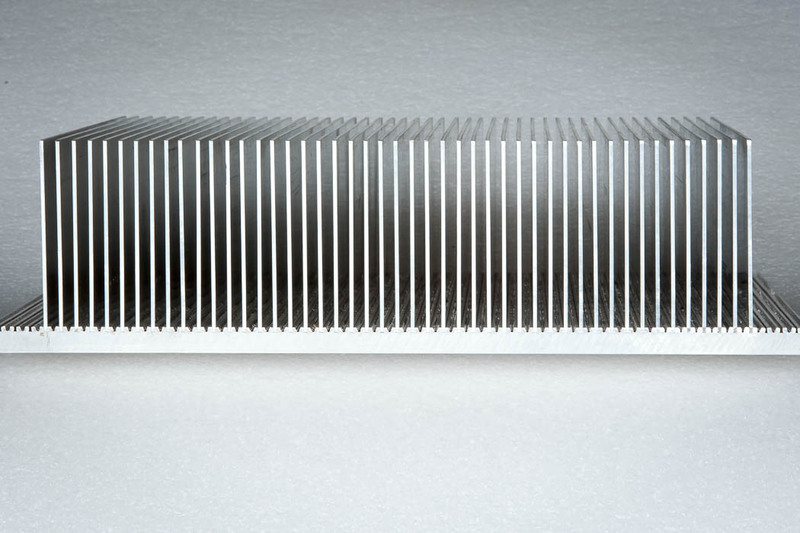 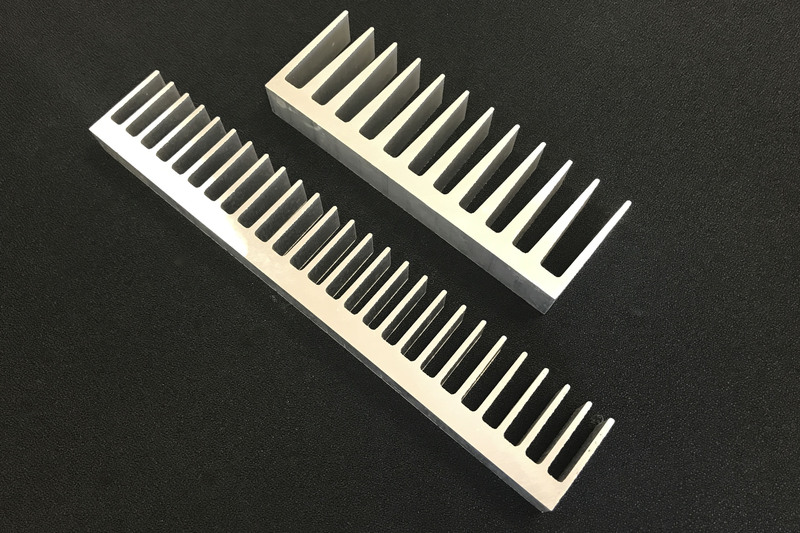 Combines High Aspect ratio extrusions or skivved fin with a base fusing process to extend the width the heatsink to +60” without any thermal loses due to spreading resistance impairments. Tubes are affixed into place with thermally conductive epoxy. 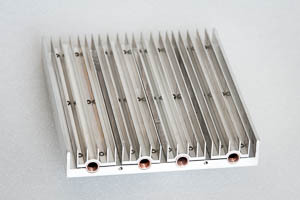 Cold plates are fly-cut and machined for maximum heat transfer. 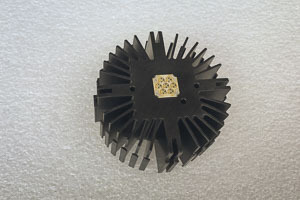 Power or High Power LED’s. Able to produce the necessary mounting hardware for both Low and High Bay, Cobra Heads, Floodlights, street lighting, Architectural, and other Luminaire applications. 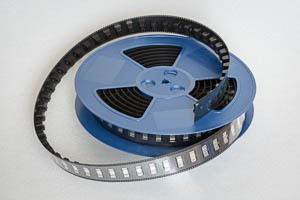 Many products can be packed in tape and reel formats for use in automated pick-and place machines. 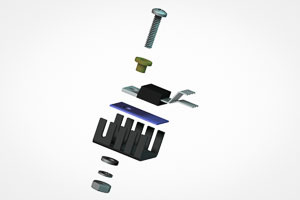 These accessories include attachment methods (clips and double sided tapes), thermal interface materials, and productivity saving hardware. 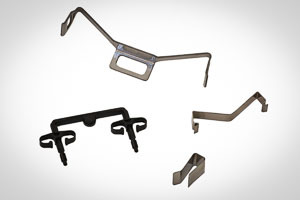 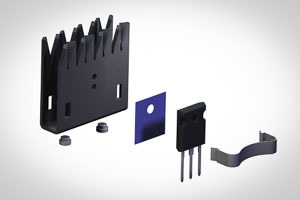 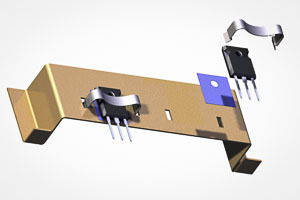 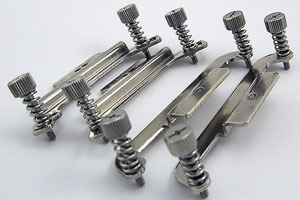 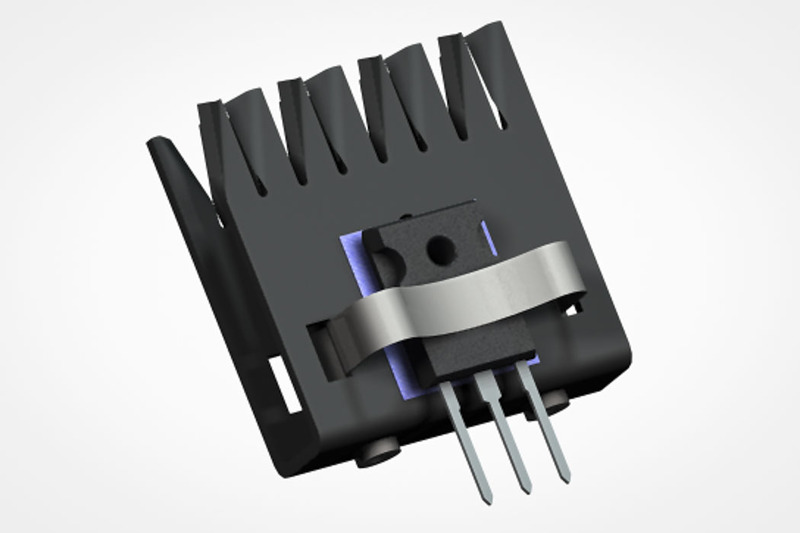 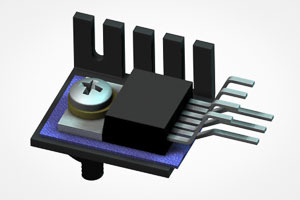 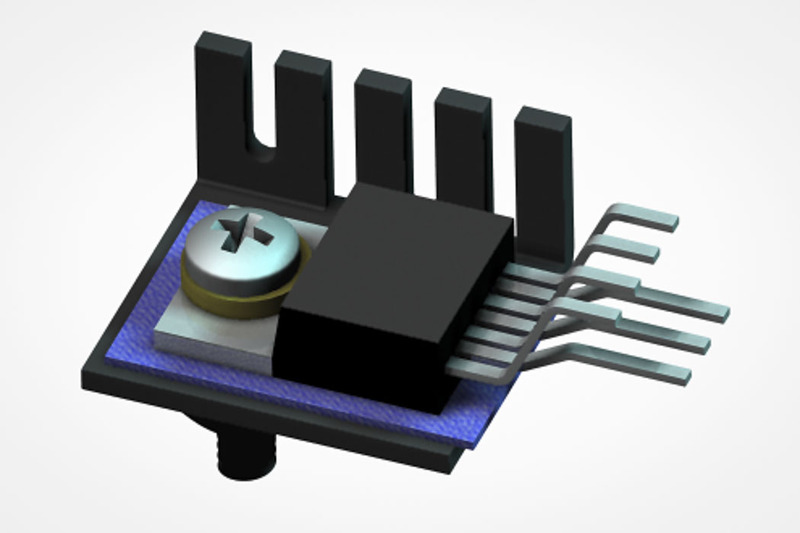 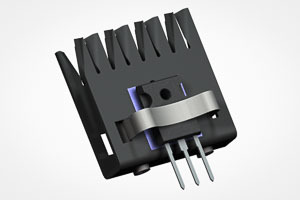 All Axis produces a wide variety of standard and custom clips to attached heat generating electronics to the heatsinks. 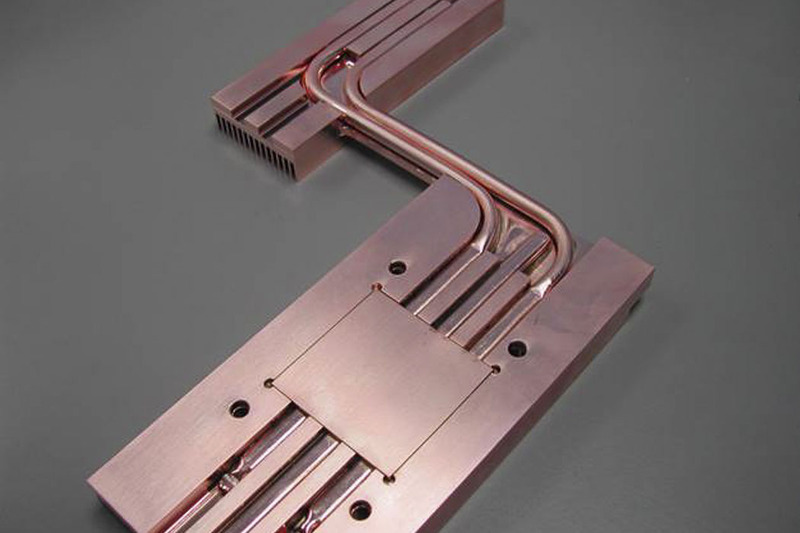 On-staff engineering are available for paid consulting services in the areas of CFD & Parametric thermal analysis; Thermal & Fluid Flow Analysis. Our engineers are also avail for design Consulting Services where we can turnkey your hardware chassis based upon a setup a statement of work prepared by the customer and ourselves. 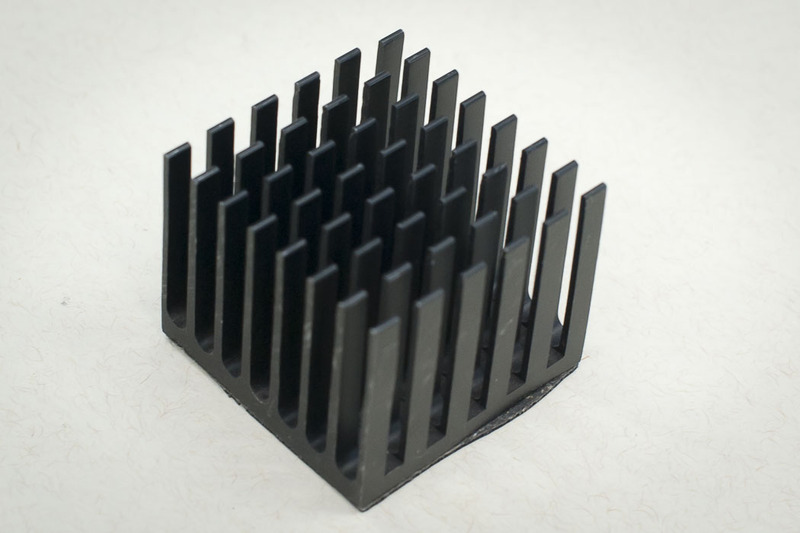 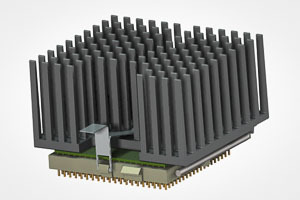 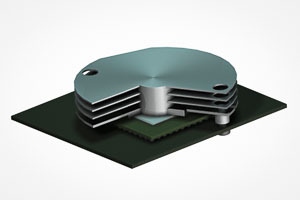 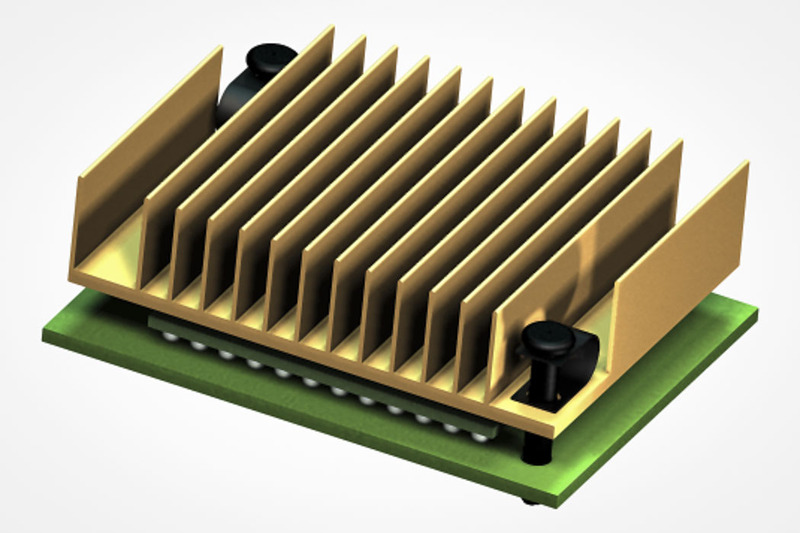 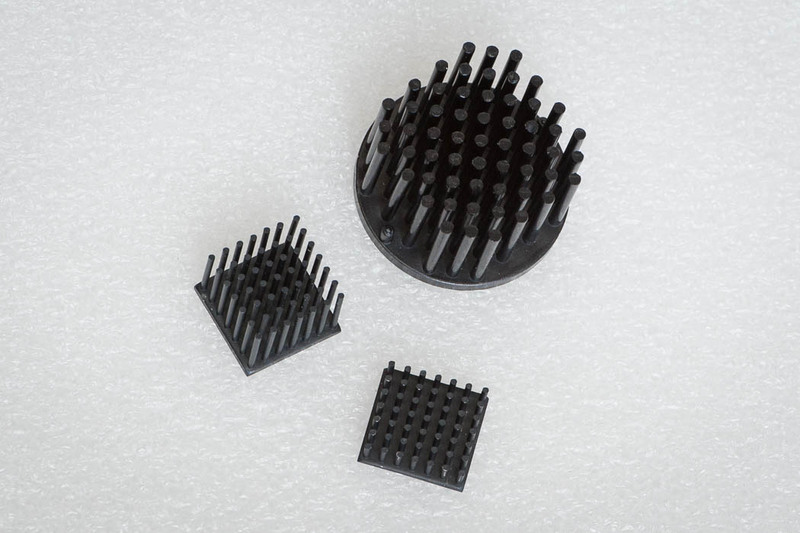 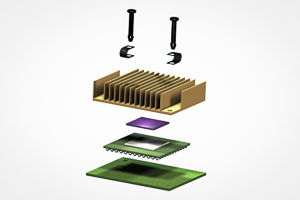 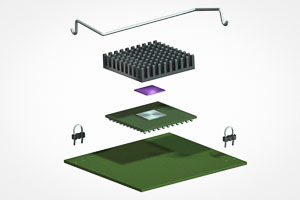 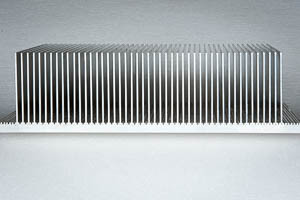 TFLO predicts the thermal performance of 4 different types of heat sinks; rectangular, bent fin, disk tower and pin fin. Analysis is performed under either forced or natural convection cooling within a radiative environment. 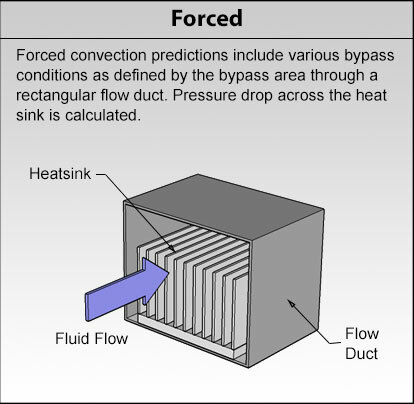 For forced convection predictions, various flow bypass conditions as defined by the bypass area through a rectangular flow duct and pressure drop across the heat sink is calculated. For natural convection calculations, the heat sink is assumed to be placed in a vertical, favorable orientation with respect to gravity. 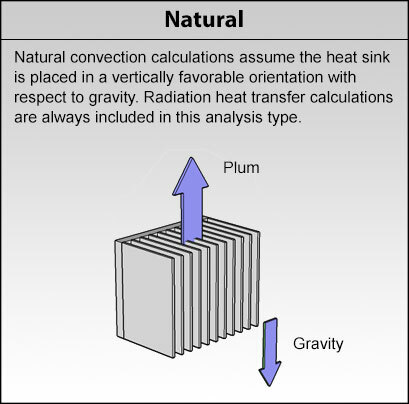 Radiation heat transfer is always included in natural convection calculations. Also provided in all cases is the capability for including the base spreading resistance based on various heat-source sizes. 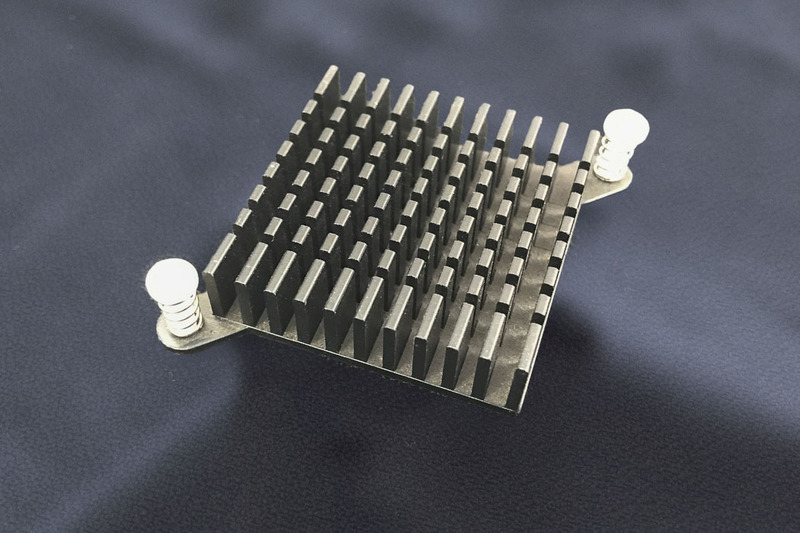 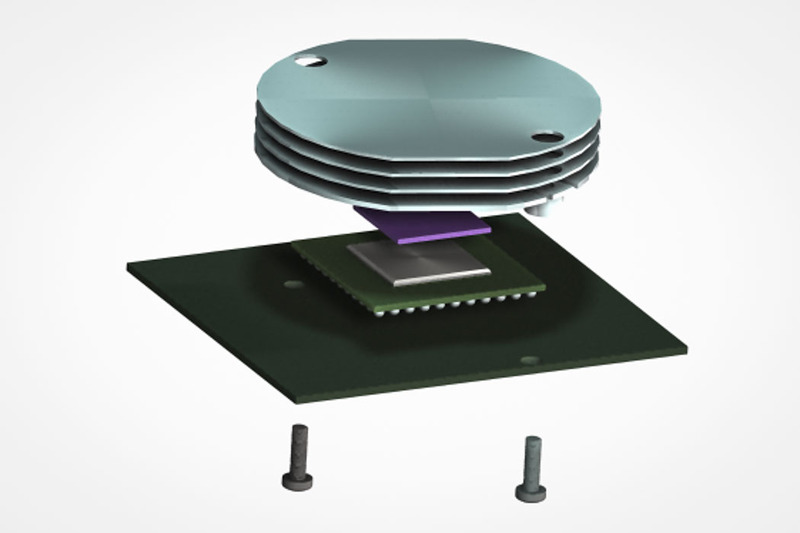 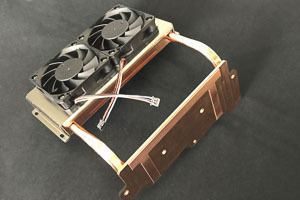 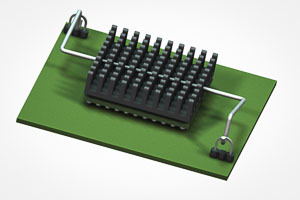 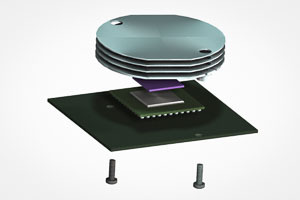 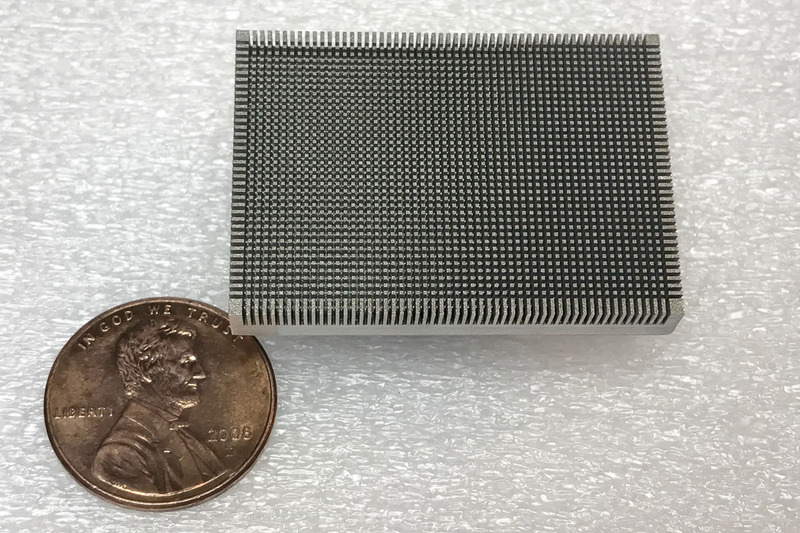 TFLO allows engineers to conduct a series of sensitivity studies to optimize the heat-sink performance and cooling conditions over various design parameters. 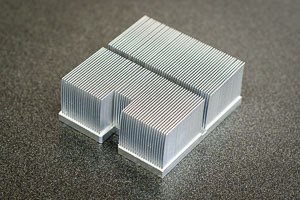 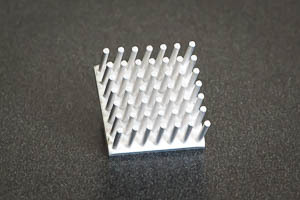 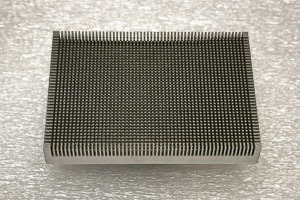 These are; number of fins or pins; fin thickness; heat-sink height; heat-sink length or disk-fin diameter; approaching duct flow rate for forced convection, or total heat dissipation for natural convection; base plate thickness which is used mainly for optimizing the spreading resistance in the base plate with a single heat source; and multiple heat sources of either uniform or arbitrary distributions. In summary, TFLO is able to predict the thermal performance of 4 different heatsink types under either forced or natural convection cooling within a radiative environment.